We arrived around 4 in the morning. I immediately felt the cold breeze welcoming us as we get off the 5 hour bus ride from Manila. A little sleep until 9 and I started prepping up for the day. Everyone else is sleeping, I decided to have breakfast at the hotel restaurant; rather than getting room service. While waiting, I smoked a stick outside the building. The busy city greeted me with a calm morning mist as i toxify my lungs with a cigarette before breakfast. I felt at peace as I look forward to our little sweet escape from the busy concrete jungles of Manila. 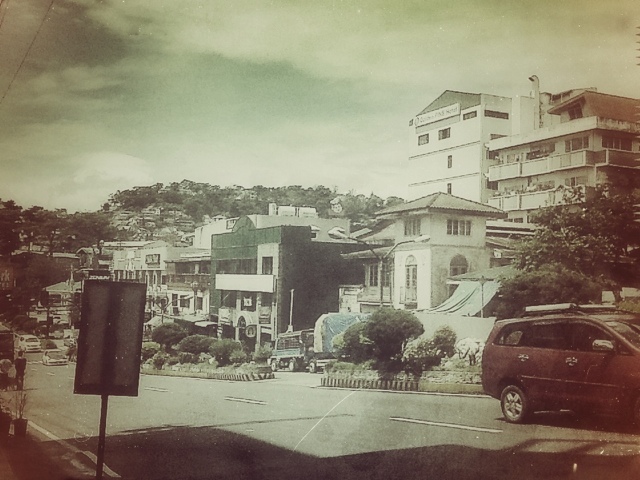 Baguio reminds me of so many memories. The romantic and misterious atmosphere, the old buildings, the pine trees, establishments and people brings nostalgia. No plans yet on what we will be doing for the day, the only goal is, to rediscover Baguio. And off we go.